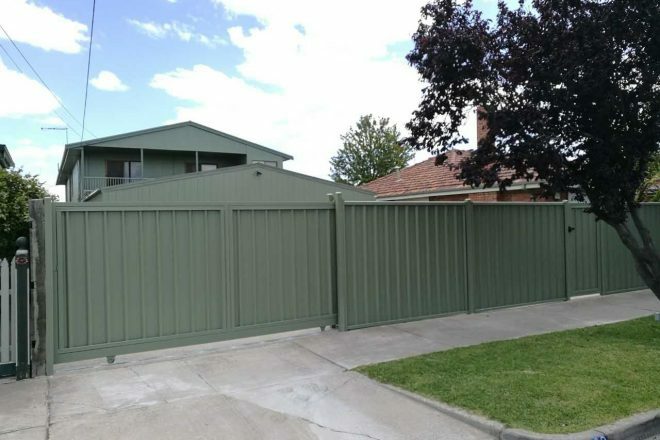 Everlast Services have been providing the people of Melbourne with quality fencing solutions for over 20 years. There’s a lot more to fencing than holes, pales and posts so Everlast Services has decided to answer some of the top questions that come their way. How do I broach a new fence with my neighbour? Make sure you’re on good terms with your neighbours before you bring up the fence. Go around and introduce yourself and when you feel as though the time is right bring up the idea. It’s important you introduce it in a consultative way rather than outlining what you will be doing. After you’ve agreed on the fence you should start drawing up the dimensions, design etc. and show it to them. Remember, both of you have to look at it so don’t be too precious if you can’t get exactly what you want. Remember to outline the full scope of your intentions, so if you’re going to attach a shade cloth or lattice work to the fence let them know. It’s all about being upfront and honest throughout the project. What do I do if my neighbours want to dispute a new fence? Disputes over fences are common. If one does arise the first thing you need to do is familiarise yourself with the rules. If you know the rules you can ensure that your plans are within them and your neighbour won’t be able to take legal action. It’s always best to try and settle the dispute face-to-face. Notes and letters can be taken out of context. Make sure you stay calm and give them a chance to outline their concerns. Try and find common ground and explain that what you are planning is within the guidelines. Professional dispute resolution can be costly and chances are you’ll both be happier settling it yourselves. If you reach an agreement get it in writing and ensure both parties sign-it, that way you have something to turn to if the issue flares up again. If the dispute cannot be resolved get legal help. Does Everlast Services install driveway gates and gate automation? Yes, Everlast Services provides the full suite of gate services and all of our gates can be automated. We fabricate our own gates so they can be customised to suit your design needs and your space constraints. Can you supply material for DIY-fencing? Absolutely. We can provide you with great materials at competitive prices and because we source everything we can from local suppliers you can make a contribution to the local economy when you buy through us. We’re always happy to pass on advice and guide you through the project. Does Everlast Services offer interest free terms? We offer interest free terms on purposes through Certegy Ezi-Pay. You can pay off your purchases via a payment plan. There is never any interest charged and there’s just a monthly account keeping fee of $3.50 and a $2.95 payment processing fee that will be added to your fortnightly payment. Follow the link for further information. Can you provide fencing options for commercial properties? Yes, we have extensive experience in providing fencing for commercial properties. We can provide security fencing, as well as decorative fencing, all with the Everlast commitment to quality and affordability. What fencing materials can you provide? We provide almost and fencing material you can think of, including steel, wooden picket, aluminium slat, modular, Colorbond and glass. We can use these materials and even combine them to create the perfect fencing design and solution for your property. Can you provide pool fencing? Yes, we can provide customers with a range of pool fencing options and ensure that your pool fence is in accordance with regulations. We understand how important pool fences are in saving lives and that’s why we work hard to provide stylish pool fencing options that are in accordance with Australian pool fence regulations, including Pool Fencing Compliance AS.1926.2007. Is there a limit to the scope of the jobs you take on? No, no matter how big or small your fencing needs are we’ll be more than happy to help you out. We’ve worked on jobs of all sizes, from large-scale industrial sites to small blocks and we know to choose a fencing solution that best suits your property.